Manage your medicine. Manage your health. 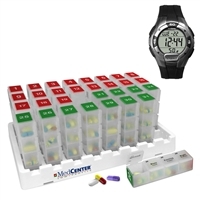 Doctors and Pharmacists agree that taking medications on a set schedule is crucial for managing your health. 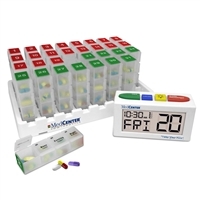 With the MedCenter System monthly pill organizer and reminder, taking your medications on schedule, becomes a part of your daily routine. Copyright © 2013 MedCenter Systems LLC | Owned and Operated by Cooper & Company, Inc.. All Rights Reserved. Built with Volusion.